I thoroughly enjoyed every minute of this family’s newborn session! ‘Big sister’ was so sweet and so proud of her official, new title! She was so sweet and played so well in the studio while her brother was being photographed. My studio offers a separate room for siblings to hang out in while I photograph baby! There’s a mini fridge, snacks and toys for the kids too! 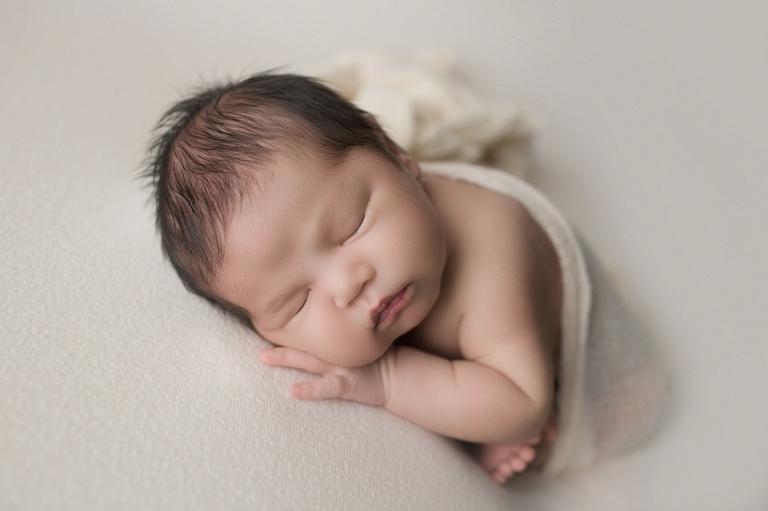 One of the things I love most about ethnic babies is their beautiful skin! Its always so smooth and perfectly colored! 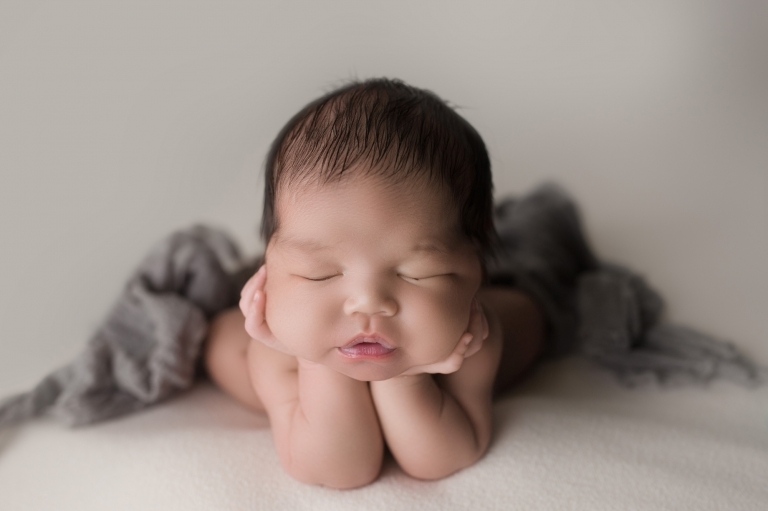 Its also why I chose to do more of a creamy, neutral look for this newborn session! It really showcases baby and how amazingly gorgeous he is! Not to mention, his cheeks were so incredibly chubby! Chubby babies are always the best! I LOVE showcasing their cheeks and it makes for the best baby gallery! I always ask parents for color preferences for their newborn session. Mom chose all neutrals. Gray and cream are my favorite neutral colors to use with boys! It works well with every room of the home because it’ll match everything! Neutral colors make for a beautiful gallery too! I’m so grateful this family hired me to take their newborn photos! They were such a great family to work with!